There are a million recipes out there for the Super Bowl so I wanted to save you some time and pass on some delicious and interesting recipes that will make you the perfect guest or host. If the Super Bowl is not for you these recipes will still work for any potluck party this winter. Who doesn’t love all things Momofuku? 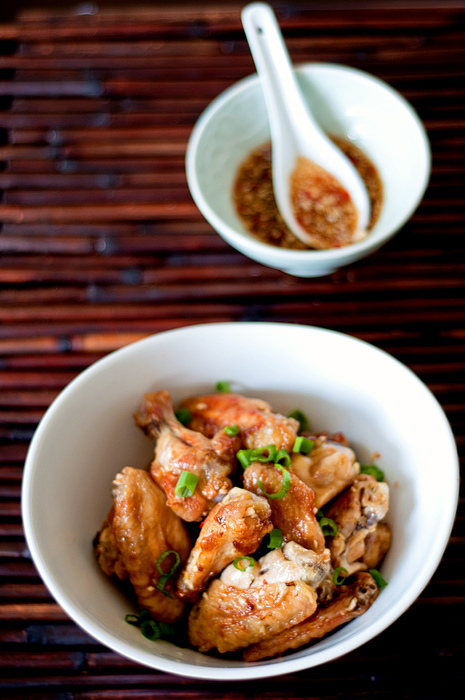 A Cup of Mai has this really easy recipe to make your wings memorable. 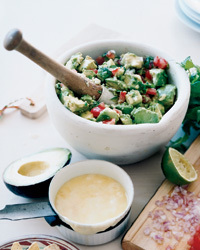 Guacamole dip is a must at almost any party. Try this take with melted queso oaxaca (or you can use Monterrey Jack). Check out the recipe, here. 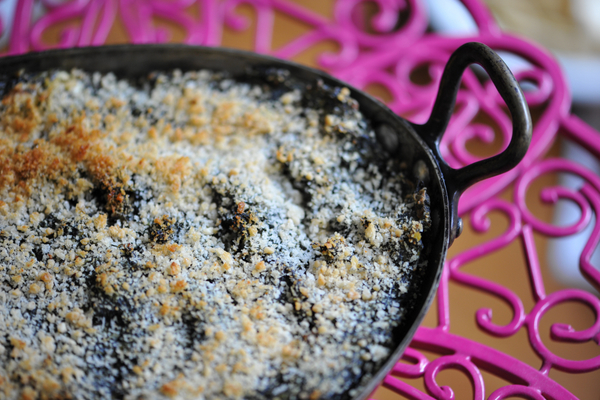 The Pioneer Woman has some great hearty comfort food recipes. 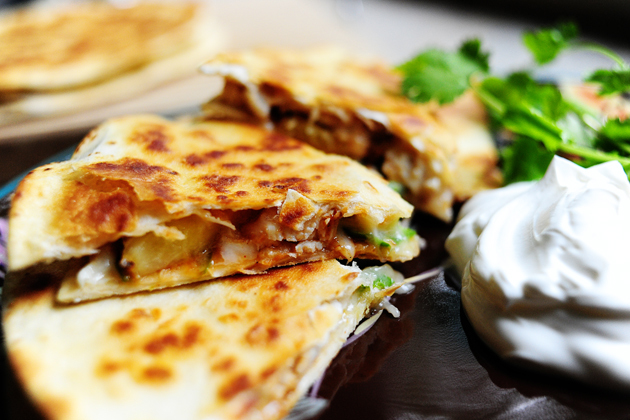 She throws in some pineapple to the usual quesadilla recipe to give it a nice edge. Get the recipe, here. I don’t even need to tell you that these suckers are going to be good. 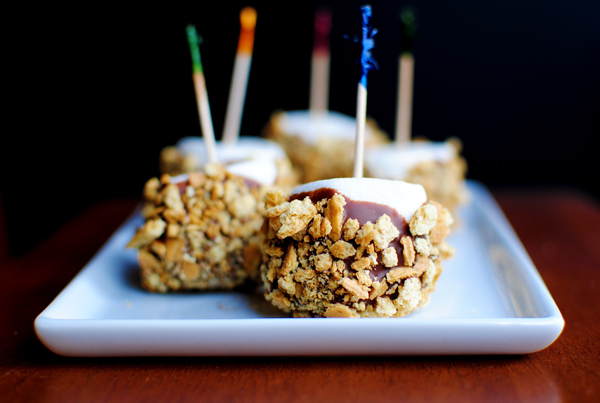 Do everyone a favor and make these, spread the love! Recipe, here. If you’ve used all your time preparing everything but dessert, here is a really fast way to make people smile and lick their lips. Here’s a little something that you can bust out to get everyone’s attention. 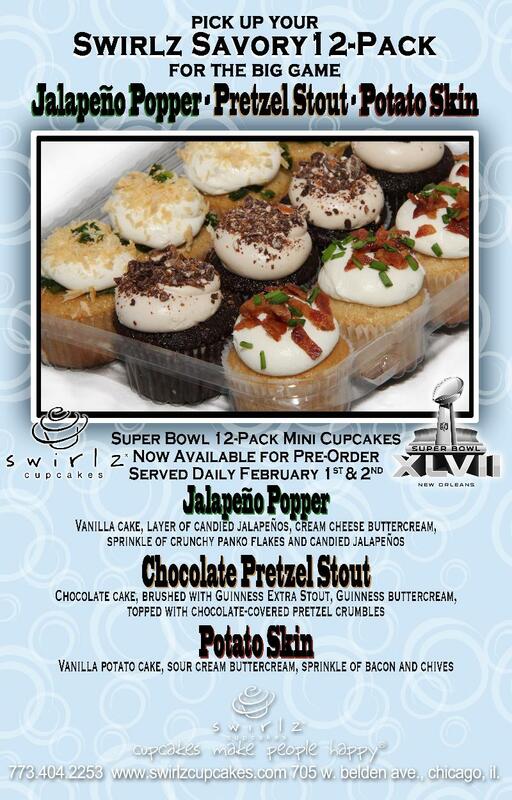 Swirlz Cupcakes in Lincoln Park has some special cupcakes for the game day: Jalapeño Poppers, Chocolate Pretzel Stout and Potato Skin cupcakes. 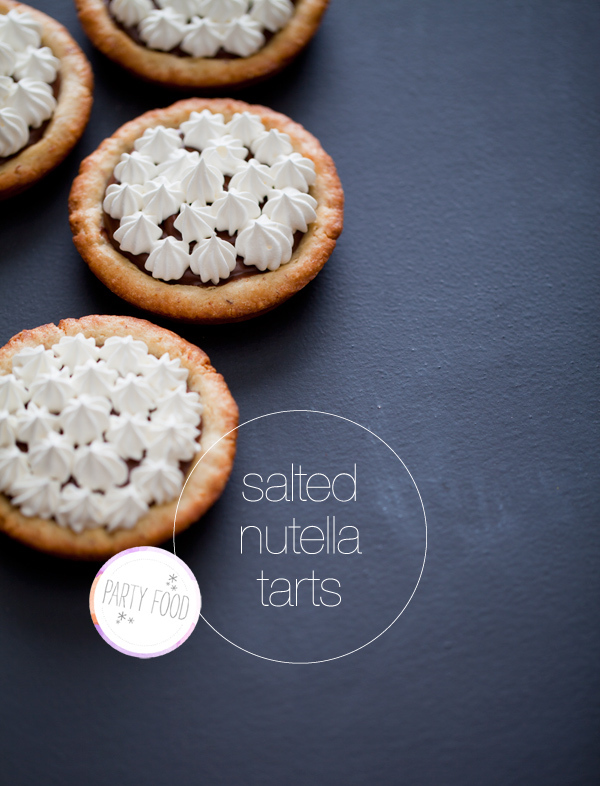 Savory and sweet! PreviousChicago Restaurant Week Starts Feb 1st!